The K-Tech RCU DDS Lite Shock is the entry level race shock in the K-Tech line. It features a full CNC machined billet aluminum body and internals with independent rebound and compression damping. Each adjuster has 32 clicks of adjustment for precise suspension tuning and damping control under any track day and race conditions. The aluminum body and internals of the K-Tech DDS Lite are hard anodized for great looks and wear resistance. Additionally, each shock offers length adjustment for easy geometry changes and a manual spring preload collar for adjusting sag. The K-Tech RCU DDS Lite Rear Shocks are available in multiple weight options to best match your riding needs. Your total weight must include your combined rider weight with all gear. Note: To ensure you receive the K-Tech Shock sprung for your specific needs, please select the weight option that includes your expected combined rider, gear and/or luggage weight. Images for reference only. 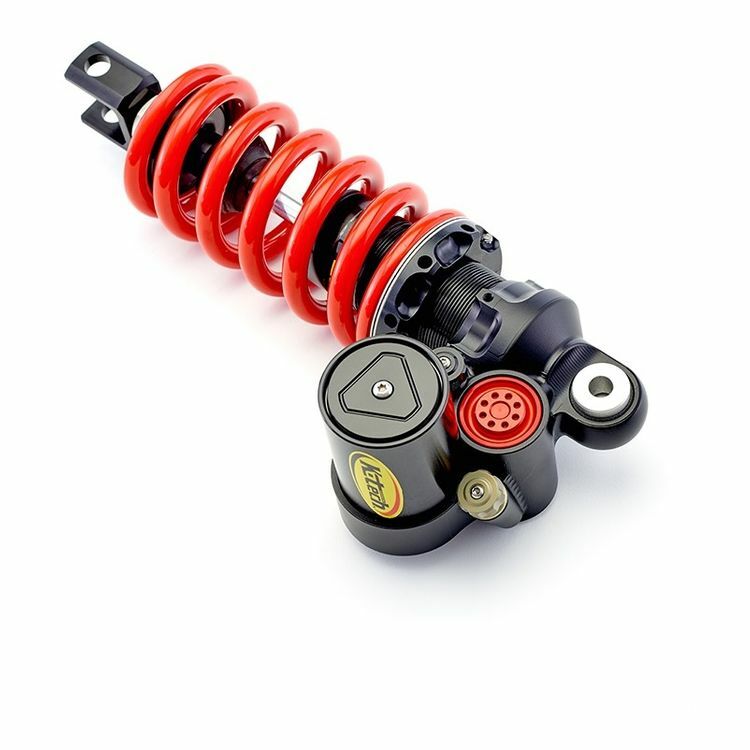 Actual K-Tech Shock will vary slightly depending on your motorcycle's make and model.